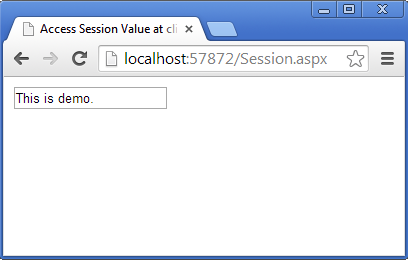 Some of my previous article are as follows: Increase Session TimeOut in MVC 4, Track and Display Error Message in Asp.Net MVC Application Using C#.Net, Passing Value From One Form to Another in Asp.net Using C#.Net. Now click on ok button to check the textbox value. 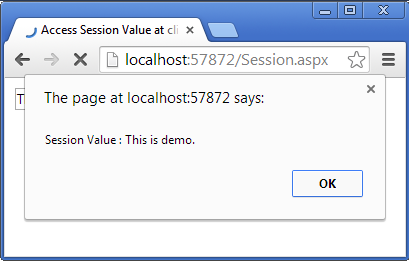 I have shown the value in textbox also just for demonstration.